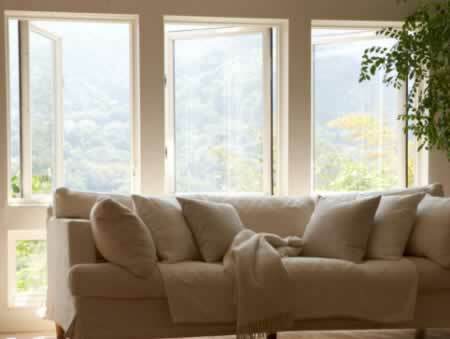 How do you know if you have thermal windows? Simply look at the window. Do you have more than one sheet of glass in your windowframe? If you do, then you have thermal windows. Thermal windows are always double-pane or triple-pane, meaning there are at least two sheets of glass with an inert gas sandwiched in between. This makes your windows much more efficient by preventing heat loss during the winter, yet preventing heat from entering your windows during the summer, thus driving down utility bills. Besides the obvious advantage of saving money by installing thermal replacement windows, you can also find the peace of mind that comes with a comfortable home. No matter the size of your windows, proper installation is the key to making certain you get the most out of your window purchase. Work closely with your window contractor and watch them work to create the most comfortable atmosphere your home can offer.